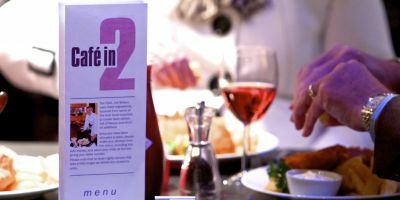 Our in-house restaurant Café in 2 is open from 6pm on concert nights and offers a variety of pre-performance snacks, light meals and desserts, all freshly cooked on the premises. To be sure of a table we recommend that you make your reservation well in advance – call the box office on 01908 280800 or email stables@stables.org. In order to ensure service runs as smoothly as possible we ask that, for bookings of 10 or more, an advance order is placed for starters and main courses. If you have any special dietary requirements, please inform a member of our box office team when you reserve your table. 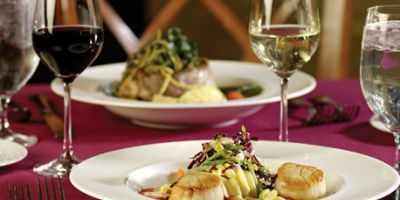 From time to time Cafe in 2 offers a specially devised menu to complement the evening's concert. The foyer bar is open from 7pm on concert nights. Check out our Spring offers. 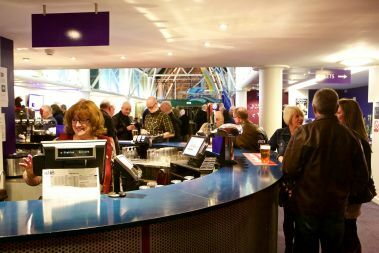 The snack bar serves a range of hot drinks and light refreshments and is also open from 7pm on concert nights.